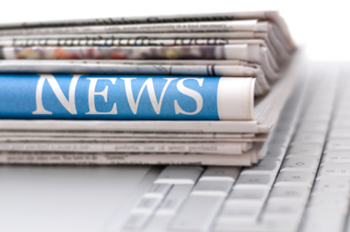 Summary Details: In October 2010 Questor Car hire insurance started a discount scheme of 10% on their products for customers purchasing via a link on the jml Insurance / insurance4carrental.com websites. 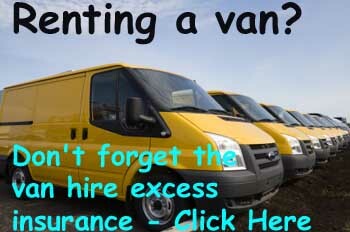 Questor Insurance are very pleased to announce that this offer has now been extended till the 30th June 2011. Questor Insurance has been selling car hire excess insurance for a number of years and last July Questor's Campervan / motorhome excess insurance started to be promoted on the jml Insurance group's sites. 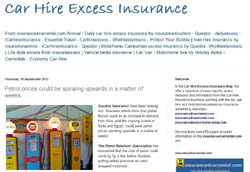 Questor Insurance also provides car hire excess insurance for other companies including Carrentals and Intasure. A spokesperson for the jml Group said "this was very good news particulary when consumers have become very cost conscious with the present economic climate in so many countries. Non-UK residents are eligible to purchase Questor car hire excess insurance so it is good news wherever you live." Find out more by following this link insurance4carrental.com/questor.htm#Discount where you make all the arrangement direct with Questor insurance. jml-property-Insurance.co.uk is part of jml Property Services, the trading name of Jeffrey Milner Ltd. The company is an UK based company that was established in 1979.
jml insurance acts as a web promoter for insurance companies selling property insurance including landlord and tenant rental products, pet insurance, wedding insurance, motor insurance, car hire excess insurance (via www.insurance4carrental.com), van hire excess insurance (via www.insurance4vanrental.com),motohome insurance (via www.insurance4motorhomerental.com ),travel insurance and non standard insurance products. They also operate jmlvillas.com an online marketing service for owners of holiday home property to advertise and are part of the jml Group that includes jml Training and Consultancy. PROPERTY: Rental, Landlords', Home Contents & Buildings, Tenants', Overseas Property Insurance, Self Build, Structural Warranty, Blocks of Flats and more..